Cold weather inspires a lot of grumbling, whining, and sometimes, random acts of kindness. 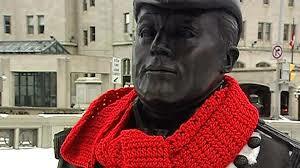 In Ottawa and various places where it’s cold, statues started sporting scarves, hats, coats, etc. Attached where notes explaining they weren’t Lost, people could take them to keep warm. This is a lovely random act of kindness. In the gloom and doom of news we can think there isn’t a lot of kindness left in the world. There is. Although some alleged acts of kindness are for publicity, attention or validation. A few months ago people were allegedly spending thousands of dollars to buy strangers coffee. Really? People who can afford to buy coffee got free coffee. Sure it got Tim Hortons a lot of publicity. Sadly, there were probably some people who believed it and also followed the trend. 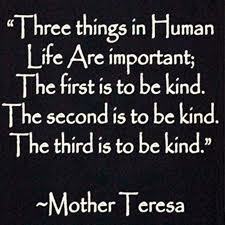 Random Acts of Kindness are about doing nice things for someone who are in need. A gesture, or some help, giving of your time or yourself, to support people, not corporations. If you had $500 to give to charitable pursuits why not help someone in need? If buying people coffee can make their day, imagine what that money could mean to someone with an actual problem? Thousands of dollars given to a corporate giant who has a poor employee history, hires temporary foreign workers, and causes endless traffic problems, gee, that’s a good idea. That money could have changed lives, not just given news coverage. Help in ways that count. What’s next, buying 500 people a 99-cent app for their smart phones, or Frappucinos, or free month of Netflix? Ever thought of paying it forward by helping those in need? Altruism is amazing, if well-placed. We seem to have a difficult time telling the difference between wants and needs. 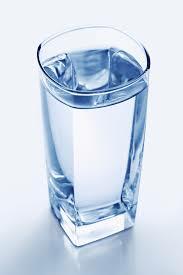 You need water; you want coffee. Need shelter; want a 4000 sq foot house. Need food;want to eat at restaurants several times per week. Need air to breathe;want to over-consume fossil fuels. Need medicine to get better; want pills to fix everything. Need clothes; want fast fashion made by basically slave labour under horrible conditions. Need leaders; want lying politicians who govern in their own special interests as long as they tell you pretty lies. Need communication; want endless versions of smartphones and tablets made by slave labour under horrible conditions. These are all distractions. Don’t look behind the curtain of a news story to see the who’s manipulating reality. There are more and more people in need, real need, not just needing a caffeine fix. This seems more about the drama than the do-good. Kind of like putting stuffed animals and flowers at the sites of tragic events or in Memoriam. If you really want to honour those who have passed away donate money to help others. Give those teddy bears to children who are ill, neglected, abused, suffering, and/or sad. Give those flowers to your elderly neighbour, seniors’ home, etc. Use some critical thinking. Life is not a reality show. This is really a good thing. But it is better to give to people who need help! Children and people in hospitals and all those people who can’t afford housing,,, and so many more… It is nice for us to give to all those people and there are so many other people suffering…. I think the whole point of buying and suspending a coffee was for those who are homeless to be able to come in and get one. Maybe the whole thing went a little off course there. 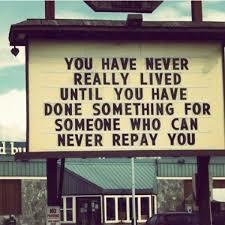 And yes, paying it forward and giving to others fits in with living a life saying “How can I serve”? For years when we lived in the Miami area my husband would drop our leftovers off at a homeless camp on his way to work…I actually had to buy new Tupperware and flatware because of it. We donate to food drives, the local Goodwill, our school always picks a family or families during the holidays to provide dinner and gifts for. I’ve donated sports equipment to our local little league so that kids who can’t afford a glove or helmet could have one. My late sister-in-law used to pay the bridge toll for the stranger in the car behind her. It is a good feeling to pay it forward without expecting anything back.